Dr. Alexandrea Lyon is a holistic healer who is particularly talented at reading the body on many different levels and bringing various modalities to stimulate deep healing and rejuvenation. She also likes to instruct patients about proper nutrition, exercise, helpful lifestyle changes, and ergonomic factors in their daily activities that can influence and support her healing work. She examines all the patient’s concerns through the lens of nutritional needs, structural integrity, as well as the influence of their underlying thoughts and emotional concerns. Addressing all these areas simultaneously and her extensive experience with whiplash allow her to understand and handle many different complex chronic problems. One of her patients recently said: “no matter what pain I have, I know you will relieve it.” She is a licensed Chiropractor from Logan College of Chiropractic and has practiced part-time for 23 years while raising three children; Robert, Jacquelynn and Liddia. She is skilled at giving gentle adjustments and using muscle testing to determine the exact nutritional needs for each individual. She is certified in Inner Communication Healing techniques which allow her to uncover and shift emotional patterns, creating a better emotional balance between the mind and body. Attention to all three orientations (nutritional analysis, structural adjustments, and emotional well-being) work together to balance the muscular-skeletal system, the blood, and the thoughts and emotions to evoke the body’s own inner healing life force. 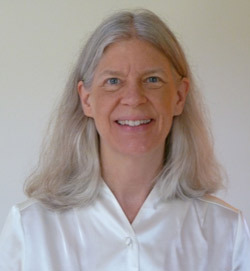 She has also studied extensively with masters around the United States, including Clinical Kinesiology with Dr. Beardall and Dr. Terry Frank, and Applied Kinesiology with Dr. Hanicke. She is also trained in the Cox technique, Thompson technique, and ancient Chinese medicine and herbal use.